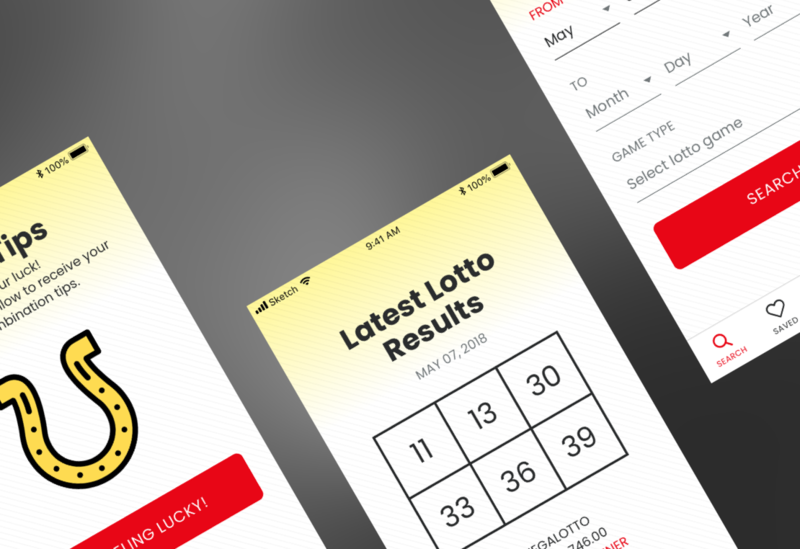 To provide users with daily lotto results. It will also provide lotto combination tips that can be used to play lotto games. 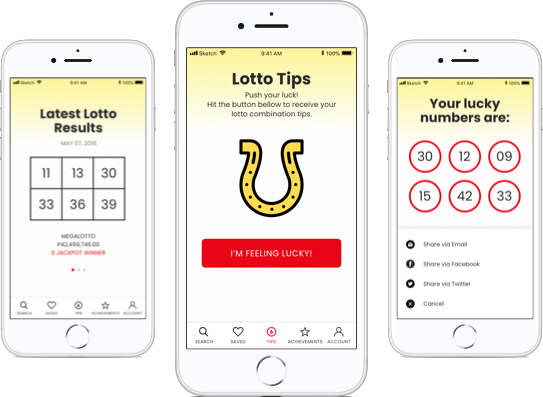 Another aspect is to gamify the lotto tips/combination to make the overall experience fun and exciting. In order to come up with a properly defined target users and personas, I spent the whole week playing lottery and observing people within the lotto booth. My method of getting information with regards to their playing habit and goal was conversational. I avoided interview type questions and just let conversations flow to allow them to become more comfortable and open. After doing my research and developing initial personas, I proceeded to create the mind maps. The mind map is based on how I think users will use the app. The page architecture and structure were all based on the user mind map ensuring that only what’s needed are built. 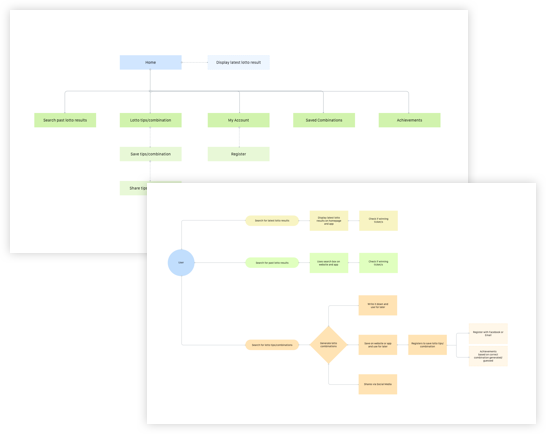 Wireframe layouts and features added to the design were all based on the user mind map and personas. 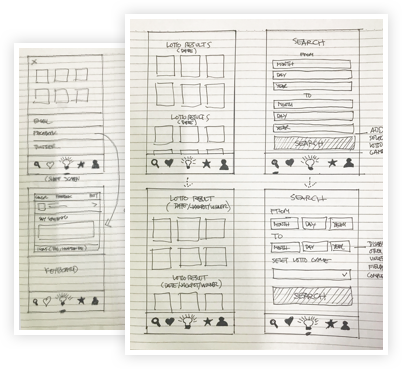 I made sure that the designs created focuses on my use case or user goals. A bold and simple design has been created in order to make it usable to the older demographics. 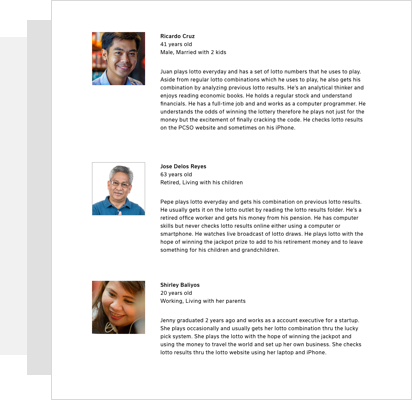 I stayed away from any unnecessary design elements and contents, focusing instead on providing users with the app’s use case. The creation of this case study is to provide lotto players with an alternative when it comes to checking lotto results. All of the app’s features are based on initial user research and assumptions. Unless properly validated, most of the features will remain assumptions.